An early Christian inscribed stone stands in the churchyard. In 1357-70 Philip Seys was the Rector. In 1398 a petition was sent to the Chancellor by the Rector, Richard ap Gwilym, requesting confirmation of his position. 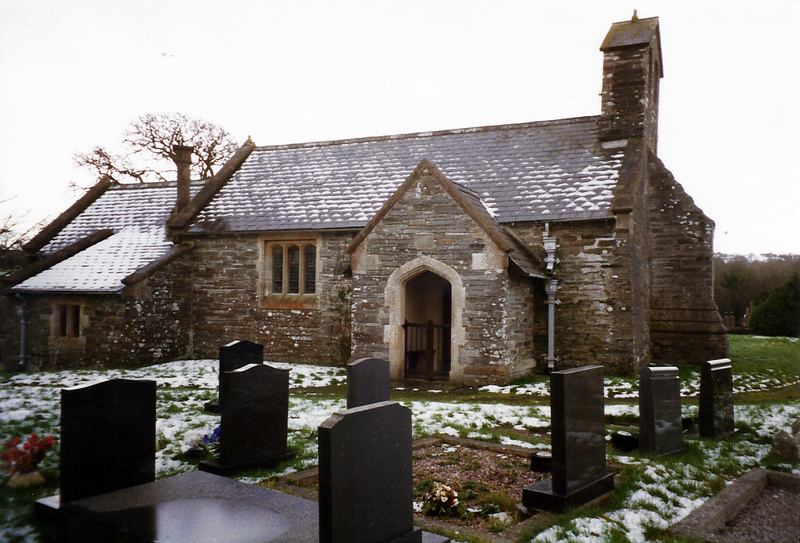 On 24th May 1399 Richard, also known as Rhys ap Gwilym, was ordained a deacon. He was also granted a dispensation and letters dismissary by the Bishop on 1st June 1399 to study literature. On 3rd June 1400 he was granted a further dispensation to study at Oxford, and again in March 1404. He may have been the same Rice ap Gwilym who became Proctor of St. Dogmaels on 11th December 1404. In February 1413 Richard ap Gwilym (or “Caunton”), Rector, received a dispensation from Pope John to hold other benefices in addition to Bridell, as the Church was impoverished by the Glyndwr war. In a year the Rector had received no more than 5 marks, whereas before the war its value had not exceeded £12. In December 1429 John ap Rys, B. C. L., was the Rector. The value of the Church that year did not exceed 10 marks. In 1513 the Church was exempted from payment of the King’s Tithes. In 1534 Griffin William was the Rector. In 1535 the Church was valued together with Cilgerran at £9 per annum. In 1546 Griffin Williams was granted a license permitting pluralism. On 23rd December 1565, following the death of rector Roger Owens, William Revell was presented Bridell Church by his mother, Anne Jenkins, widow of John Revell and Dr. Thomas Phaer of Forest, Cilgerran. On 2nd October 1595 Jevan David, “…clerk, parson of Bridell…”, was bequeathed a wether by the will of William David ap John of Bridell. On 15th January 1603, in a will, Philip Symmons was described as “…parson of Bridell…” On 15th October 1608 and 30th September 1628 William Myles was the Rector. In a will, dated 1st June 1631, John Vaughan, son of John Vaughan, was the Rector of Bridell. In February 1632 Lewis Gwyn was the Rector. On 13th October 1654 Lewis Gwyn executed his will, describing him as “…parish of Bridell, clerk…” In 1662 he was ejected from his post and had died by 15th November 1664. On 17th May 1662 Edward Provand was presented the Church by the King. On 5th October 1669, following the death of Provand, Thomas Lloyd was presented with the rectorship of the parish by the freeholders. On 28th May 1672 David Davies was presented with the Church by the freeholders of the parish and became Rector. In 1672-86 David Davies was the Rector. On 19th April 1673 David Davies was granted a license for non-residence for four months to study at Oxford University. On September 1st 1674 David Davies was licensed to read services at Bridell as the curate. On 31st December 1674 David Davies, curate, also became the curate of Cilgerran. On 31st July 1684 it was noted that there was no chalice at the Church, and that one William James was excommunicated at that time for being schismatic. David Davies was the Rector and William Howell and John Alban Thomas were the Church wardens. On 6th August 1686 David Davies wrote his will. Probate was made on 24th July 1687.
the Rector until 1909. On 8th June 1884 he retired as curate of Llangoedmor. On 1st September 1885 Rev. Alban Alban, Rector, married Alice Bowen, daughter of the late Captain George Bowen, Plas Newydd, St. Dogmaels, where he took up residence. He donated £1 towards rebuilding Blaenwaun Baptist Chapel, St. Dogmaels. In 1886 Messrs. Griffiths & Thomas of Cilgerran rebuilt the Church, to plans by Mr. H. Prothero, architect. The building of the north porch in 1887 completed the new church building. On 8th August 1887 a piece of ground added to the cemetery was consecrated. 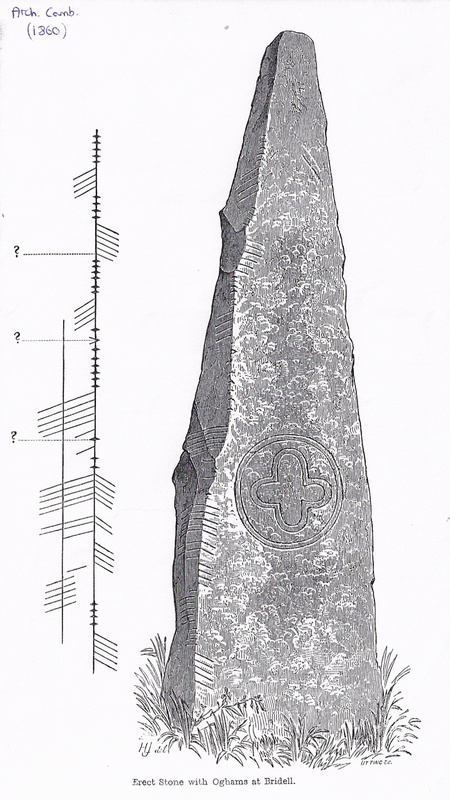 In 1899 the inscription on the Ogam stone was read as “NETTASAGRU MAQUI MUCOI TRECI”. On 29th January 1909 Rev. Alban Alban died aged 63. Rev. Daniel Williams, curate of St. Dogmaels, became the new Rector on 15th May 1909. On 28th May 1915 his only son, Nicholas William Bray Williams, died aged 17. On 25th May 1923 tenders were sought for building a Rectory in the parish. Rev. Daniel Williams died on 12th November 1926 aged 69. On 26th April 1927 Rev. Thomas Twynog Davies became the new rector of Bridell. On 3rd August 1928 tenders were requested for building a Church Hall at Bridell. The new Church Hall opened on 23rd October 1929. On 24th January 1933 Rev. T. Twynog Davies married Miss A. J. Evans of Derry Ormond – the Matron of Cardigan Hospital. On 19th October 1934 Rev. T. Twynog Davies announced his intention to leave Bridell, and departed for Mathry in November. 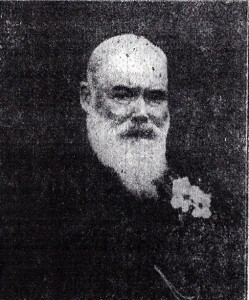 In 1935 Rev. Jenkin Richards became the Rector of Bridell and Llantood until 1951. On 12th May 1936 a memorial to the late Father Joseph Higgins, Chaplain of the Bridell Carmelite Monastery, was unveiled here. At Easter 1939 there were 27 communicants. In March 1951 Rev. Jenkin Richards announced his retirement from the position of Rector. He died on 14th January 1970. In 1951 Rev. William Thomas Gravell became the Rector of Bridell and Llantood. Lyn Davies became the treasurer that year. In 1952 the Church became a listed building. On 31st October 1960 Rev. William Thomas Gravell, priest-in-charge, died aged 49. Rev. D. J. Lloyd may have become the Rector in 1961. In 1972-80 Rev. D. J. Lloyd was the Rector. The position of Rector is now shared with Cilgerran, Manordeifi and Llantood parishes. In 1984-2012 Rev. Canon Euros L. Thomas was the Rector. In 2005 Lyn Davies was presented with a cut glass vase in recognition of his 54 years service as church treasurer. In late 2012 Rev. Euros Thomas retired due to ill-health and died soon afterwards. “…EXTERIOR – Mediaeval origins, rebuilt 1812 and again 1886-7 by H. Prothero of Middleton, Prothero and Philott, of Cheltenham. Small and low, in rubble stone with Doulting stone dressings and slate roofs. Nave and chancel with bellcote and 1887 N porch and N vestry. Coped shouldered gables. W end big centre buttress with 1887 moulded plinth and coping, and gabled bellcote with two arched openings. N porch with coped gable, Tudor arched entry and 1887 plaque. One nave 3-light flat-headed Perpendicular style window. Nave S has two similar 4-light windows, and chancel S one similar 3-light. Chancel has 2-light E window, flat-headed with ornate reticulated tracery, and N vestry. Two slate plaques inset into the S walls, one of 1815, the other of 1808. INTERIOR – C20 roughcast cladding, plain chancel arch. Plain wishbone-truss roofs, reused from previous church. Fittings all of 1887 including pews, panelled oak pulpit, tiled floors with encaustic tiles in chancel, two high-backed chancel stalls given by the architect, H. Prothero, and lectern. Medieval square font with bead moulding to angles, the lower corners slightly rounded. Circular short shaft. No stained glass. Additional – There were said to be two bells here in 1926 and the church contained 77 sittings. Princelings, Privilege & Power, Leslie Baker-Jones 1999. Thanks very much Chris, that would be great. Always nice to hear from the families of people who made the history of the town what it is. I am visiting Cardigan in september, and can drop the promised photos of Edward Mathias off somewhere.